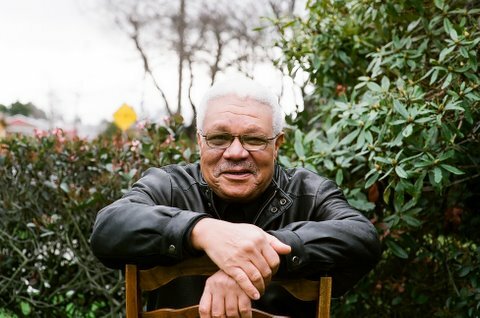 Al Young is California Poet Laureate Emeritus. He’s a huge spirit, a deep soul, a purposeful poet. Read one of my favorite poems by him, “Birthday Poem” at the Poetry Foundation. I love especially these last two stanzas, and especially on this day, over this weekend, when I’m remembering how the suffering of each of us, through compassion, empathy and imagination, can be remembered and experienced by all. This I see as the function of art. This entry on Al Young’s blog offers a variety of thoughts about and images of the late great Gabriel Garcia Marquez. One of the delights he’s collected is this interview with Isabele Allende about how Marquez “gave us back our history” — meaning primarily the history of the people of Central and South America, but also, I think, the history of anyone who chooses to re-imagine a history other than that which is told by the conquerors. There are many photos of Marquez in the press now, some in which he’s obviously frail but sporting a lovely yellow rose in his lapel. Some show him flipping off the camera. I like this one (above). I think I understand what it means to wear a book on your head. To wander around in life, worried that those words might clatter to the ground in a pile of pages and board, to lose your mind. Rest in peace, Sr. Marquez. Thank you for the gifts of your imagination and your hard work. Rock on Al Young, keep telling us like it is.